Upgrade to GeForce RTX, score both titles at no extra cost, and experience maximum performance as DLSS comes to Battlefield V.
Have you been thinking about upgrading your gaming rig before you join the front lines? Now’s the perfect time because our friends at NVIDIA are offering an awesome bundle for PC gamers. 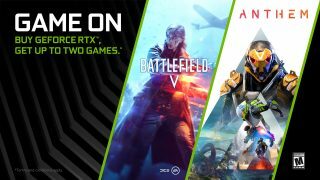 For a limited time, when you buy eligible GeForce RTX 2080 Ti or 2080 GPUs, desktops, and laptops you’ll receive both Battlefield™V* and BioWare’s upcoming online action shooter, Anthem™. Or, if you buy a GeForce RTX 2070 or 2060 GPU desktop or laptop, you can choose one of the two games to enjoy at smooth frame rates and incredible detail levels. In Battlefield V you’ll lead your squad to victory on a journey through a fresh and never before seen portrayal of World War II. From dramatic single-player War Stories to massive multiplayer battles, this game has it all. It’s also the first game to debut real-time ray tracing, adding immersive, high-fidelity, dynamic reflections to all areas of the game. And soon, Battlefield V will feature deep learning supersampling (DLSS), which uses the power of AI to get you even faster performance. Anthem is BioWare’s upcoming online action shooter, that puts players on a world left unfinished by the gods, where a shadowy faction threatens all of humankind. Join the ranks of the Freelancers in their powerful, high-tech javelin exo-suits to discover vast ruins, battle deadly enemies, and claim otherworldly artifacts. Wondering what the beautiful, chaotic world of Anthem will look like with the power of GeForce RTX? See the trailer below to find out. It’s pretty simple: check the bundle page for retailers and etailers offering the bundle in your area. Then purchase a GPU, PC, or laptop from that participating retailer. After logging-in, select Redeem from the drop-down menu in the top-right corner of GeForce Experience and then enter your game codes, one at a time. You should see both games; you won’t be able to pre-load Anthem yet, but you can download Battlefield V immediately. After logging-in, select Redeem from the drop-down menu in the top-right corner of GeForce Experience and then enter your game code. Select the game you’d like to redeem. You should see your selected game. If you chose Anthem you won’t be able to pre-load it yet. 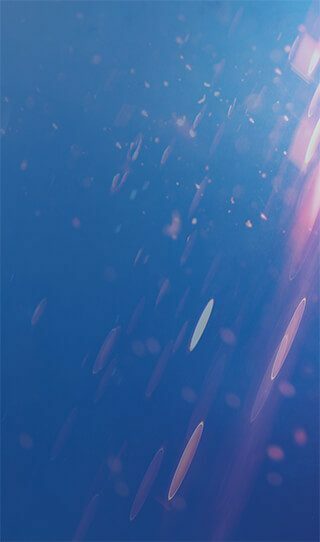 If you selected Battlefield V you can download it immediately. Enter mankind’s greatest conflict now with the Battlefield™ V Deluxe Edition or Standard Edition on Xbox One, PlayStation®4, and PC. Or try it first for 10 hours with EA Access or Origin Access Basic**.